Bees! All flying around my balcony. Just moving on in. Or maybe setting up Extinction Resistance Headquarters. All John Connor resistance style (it is Judgment Day after all... in Terminator mythology). Now people, I have been stung by a bee exactly one time. When I was three. And when you are three, it is the most terrifying and malicious thing ever. I have spent the subsequent twenty-something years with a pretty hefty fear of being stung again. Mostly because it's been built up in my mind for decades. Today I saw the depths of this fear. 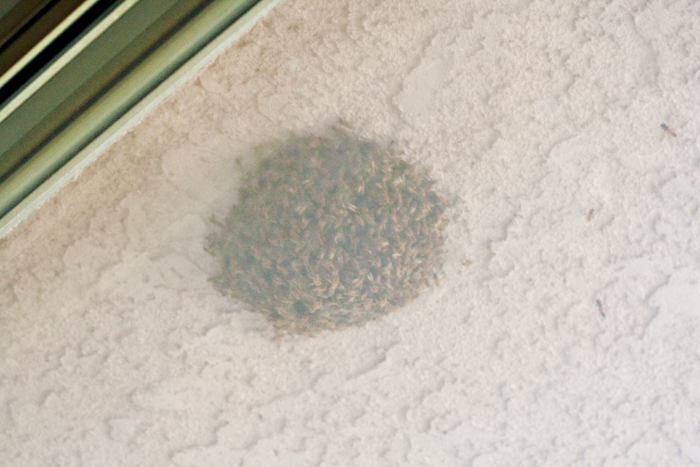 Why yes, my friends, that is a swarm of bees the size of a volleyball. Good guess! What happened next I am not entirely proud of, but I do feel entirely justified. I may or may not have broken down a little bit (okay, I did). I may have started rambling on at break neck speed. 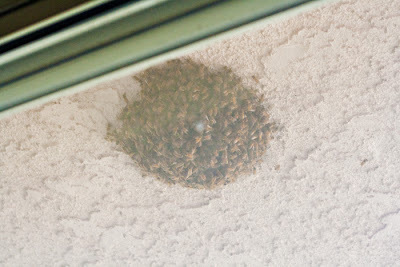 James may have reminded me that there are Africanized Honey Bees in SoCal. I may have cried some more. ...that is burned into my retinas. But then my mom sent me chocolate, Vogue and an Outback gift card for Easter. So today wasn't so bad.